and businesses for their technology evaluation and growth, with measurable impact. West Bengal Industrial Development Corporation Ltd., in association with Federation of Indian Chambers of Commerce & Industry and The University of Texas at Austin, IC² Institute, will establish a model acceleration and incubation center to support innovators, technology, start-ups, enterprises and businesses which have the potential to grow, scale and contribute to the economy of the state of West Bengal. The centre would engage with incubatees and businesses for their technology evaluation and growth, with measurable impact. IBAC aims to establish and grow sustainable market-driven businesses through technology and innovation. The proposed centre would also support and promote exports, working closely with exporters in West Bengal to explore opportunities for expansion in existing markets or new geographies for product launches. Providing businesses the expertise and resources to nurture, scale and expand. Building a better business ecosystem for all. West Bengal Industrial Development Corporation Ltd. (WBIDC) formed in 1967 under the Companies Act, is the premier nodal agency of West Bengal’s Commerce and Industries Department. WBIDC is responsible for conceptualizing, development, growth and facilitation of industry, investment and infrastructure in West Bengal. Over the years the corporation is actively engaged in catalyzing investment through promotion and marketing of West Bengal as an investment destination. WBIDC provides support to industries through the four ways – Facilitation, Financing, Disbursing Incentives and by Setting up Industrial Parks. Established in 1927, Federation on Indian Chambers of Commerce and Industry (FICCI) is the largest and oldest apex business organization in India. Its history is closely interwoven with India's struggle for independence, its industrialization, and its emergence as one of the most rapidly growing global economies. Federation of Indian Chambers of Commerce and Industry established a Centre for Innovation, Science and Technology Commercialization (FICCI-CTech) in 2007 to provide a platform and institutional framework to Indian innovators and entrepreneurs, helping them convert their ideas into businesses. The Centre runs several national level multi-stakeholder programs to support Indian start-ups and innovators. Over the last decade, FICCI C-Tech received and evaluated more than 15,000 proposals and supported close to 700 innovative enterprises. These enterprises have been provided mentoring on product commercialization, readiness for market, business models, IP rights, competitive positioning and mechanisms for revenue. The IC² Institute was founded in 1977 as a “think and do” tank to test the belief of its founder, George Kozmetsky, that technological innovation can catalyze regional economic development through the active and directional collaboration among the university, government, and private sectors. Since then, the Institute has researched the theory and practice of entrepreneurial wealth creation and has been instrumental in Austin’s growth as an innovation and technology center and in the development of knowledge-based economies in over 40 countries. 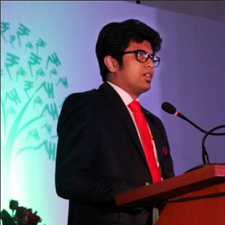 Founder and Director, Sylvant Advisors Pvt. Ltd. Co-Founder, FIA Technology Services Private Ltd.
Padma Shri Saurabh Srivastava chairs the Indian operations of Steria and is one of the leading IT entrepreneurs, angel investors and venture capitalists of India. 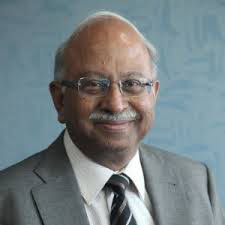 He founded and chaired IIS Infotech which was ranked amongst the top 20 Indian software companies within four years of its inception and was listed, post-merger, as Xansa on the London Stock Exchange, with revenues of around US $800 million till it was acquired by Steria. He has since founded and exited other successful IT start ups and has invested in over 50 start-up ventures. He is one of the co-founders and past Chairman of NASSCOM (the Indian Software Industry ssociation) and NASSCOM Foundation (the industry’s community service arm). He founded and chaired India’s first and extremely successful early stage Venture Capital fund in the private sector, Infinity Ventures and co-founded the Indian Angel Network, India’s first and largest business angel group with over 200 investor members comprising the who’s who of successful Indian entrepreneurs and CEOs. He chaired the Indian Venture Capital Association for over a decade and is the Chairman Emeritus of TiE, Delhi. He serves/has served on several government committees/ task forces/boards such as the Indo EU Round Table, PM’s National Innovation Council, IT Ministry’s Committee on software exports, Planning Commission and SEBI Committees on Venture Capital, National and State VC Funds, Media Lab Asia, Railway Expert Committee, CSIR Tec Ltd. (set up by the Council for Scientific and Industrial Research to commercialize its technologies), Government’s Multimodal Transport Task Force and Task Forces for two of India’s largest states, UP and Bihar. He is on the Advisory Board of Imperial College Business School, London, on the Entrepreneurship/ Incubation boards of IIT Delhi and IIT Kanpur and on the Advisory boards of Uttarakhand and Himachal Universities. He has a master’s from Harvard University and a B-Tech from the Indian Institute of Technology (IIT), Kanpur. Awards include “Distinguished Alumnus” from IIT-K, Honorary Doctorate in Technology from the University of Wolverhampton, UK and Lifetime Achievement Award from the IT Industry in India. Padmaja Ruparel certainly knows a thing or two about true grit. From building her own real estate business in her 20s to being a housewife to handling corporate communications and corporate social responsibility before becoming an angel investor, the 55-year-old has donned many roles. But, "nothing is as satisfying" as what she is doing currently. As president of the Indian Angel Network (IAN), one of India's largest angel funds, Ruparel is busy building a company that wants to fund at least 500 startups that can create over 30,000 jobs in the next ten years. Ruparel co-founded IAN a little over 10 years ago along with industry veterans such as Raman Roy and Saurabh Srivastava. Today, it boasts over 500 angel investors, has backed 135 startups in 17 countries and has an average internal rate of return of 32 percent. Much before she became one of India's prominent investors, Ruparel’ s entrepreneurial spirit was evident when she developed a 25,000 sq. ft commercial space in Kolkata as a 24-year-old. Once in Delhi, Ruparel worked as a counsellor at a computer training institute before joining a media house. In 1991, she joined the software services company IIS Infotech, at the "bottom rung"—a decision she describes as life-changing. Ms. Padmaja is a Co-Chair of Global Business Angel Network (GBAN). She also operationalised TiE Delhi has been ranked as the Number One chapter globally for the last 4 consecutive years. She played a key role as Executive Director in building the Indian Venture Capital Association, India's oldest and largest association of VC and PE firms. In addition, she helped the creation of Lankan Angel Network in Sri Lanka. She is actively engaged with the Indian Govt. 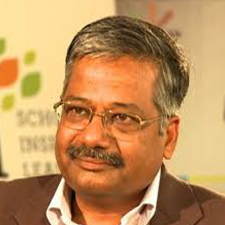 Anand Sudarshan is an education sector advisor. In addition to his role as Advisor, TVS Capital Funds, he is the Founder & Director of Sylvant Advisors Private Limited. Sylvant focuses on providing a range of advisory services to institutions, enterprises & investors, with a strong focus on the education sector. Anand is also an independent director at Manipal Global Education Services Private Limited (MaGE). Till June 2012, he was Vice-Chairman & Managing Director of MaGE, with whom he has had a distinguished career since May 2006. Mr. Sudarshan is also the Chair of the FICCI Start-up Committee. Anand also actively supports Government of India in policy formulation and is a member of select Committees & Task Forces of the Planning Commission of India as well as the Ministry of Human Resource Development (India’s Education ministry). He is a founding member of EDGE (an education sector forum and think-tank) and the Vice-Chairman of EDGE’s Vision Group. He is also a member of CII’s (Confederation of Indian Industry) and FICCI’s (Federation of Indian Chambers of Commerce & Industry) national committees on Education. Prior to his stint at MaGE, Anand was President, Adea International (a wholly owned subsidiary of Adea Solutions, Inc, Dallas TX), responsible for all global businesses of the IT Services & Solutions company. 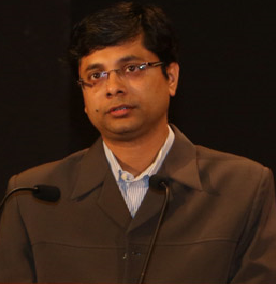 Anand was also the one of the co-founders of the Microland Group and served in several senior capacities in The Computer Point. Anand has a Bachelor of Engineering degree (B.S Degree) in Electronics and Communications Engineering from the National Institute of Technology, Trichy, India, and a PGDM (M.B.A Degree) from the Indian Institute of Management Calcutta, India. Yogesh Andlay is the founder of the Nucleus Software, which provides lending and transaction banking products to the global financial services industry since 1986. The software is into operation in more than 150 companies in over 50 countries, supporting retail lending, corporate banking, cash management, mobile and internet banking, automotive finance and other business areas. Polaris is headquartered in Chennai and has offices around the world. In April 2013, Polaris launched its 8012 FT Design Center - the world's first Center dedicated to Financial Technology. Polaris has its origins in Nucleus Software, Polaris Consulting & Services Limited was incorporated in 1993. It was one of the first vendors that Citi Group chose to partner with, when it entered India. Polaris Consulting & Services Limited, formerly Polaris FT, is a provider of financial technology products, legacy modernization services and consulting for core banking, corporate banking, wealth & asset management and insurance. In 2003, Polaris launched its core product portfolio, IntellectTM. In November 2011, the organization changed its name from Polaris Software Labs Limited to Polaris Financial Technology Limited to highlight its primary domain of operation. On 3 March 2016, Virtusa Corporation acquired a majority stake in Polaris Consulting & Services Limited. Virtusa Polaris is the market facing brand of Virtusa Corporation and Polaris Consulting & Services Limited. 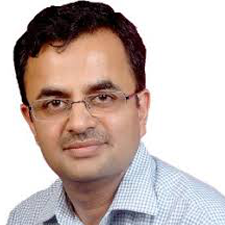 Dr Nikhil Agarwal is the former CEO, Innovation Society, Government of Andhra Pradesh. The role of the innovation society is to kick start the innovation agenda and promote entrepreneurship in the sunrise state of India. Andhra Pradesh is now the leader in Innovation in India. 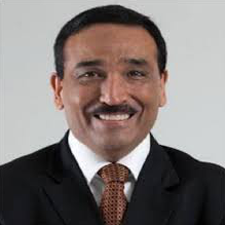 Dr Agarwal has founded businesses and advised firms on strategic matters in last 20 years of his career. He has worked with global multinationals like Cadbury's and ensar (RPG Group). He has lectured at leading global universities like Virginia Tech, University of Bradford, University of Edinburgh and University of Cambridge in visiting capacity. His interviews and work has been extensively covered in international media including HBR, Forbes, CNN Money, BBC Radio & The New York Times He has served as high-level-advisor to United Nations Global Alliance on ICT & Development (UNGAID) between 2008-12; board member at World-Entrepreneurship-Forum and Open Mind Foundation respectively. He was the first Asian to be elected as Co-Chair of prestigious Internet Society Advisory Council (ISOC-AC) for 2008-10. Professor Agarwal has worked with global institutions, corporations and multinationals & published over 40 research papers, conference publications and articles in top journals. He is regularly invited to speak at seminars and conferences around the world. He writes his column “Snake Charmer” in Times of India (TOI) and Economic Times (ET). TOI is the largest English newspaper in the world by circulation. 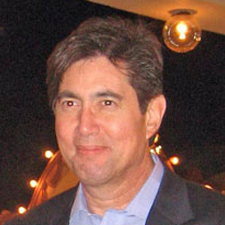 He founded EntrepreneurCafe.org one of the world's largest entrepreneurship networks. Dr Nikhil Agarwal is alumnus of University of Cambridge and University of Edinburgh. He is currently based in Hyderabad, India. 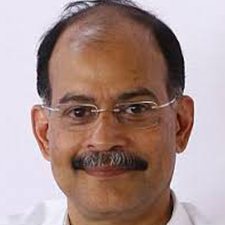 Mr. Kasaragod Ullas Kamath is Joint Managing Director & Chief Financial Officer of Jyothy Laboratories Ltd, Mr. Kamath also served as Deputy Managing Director of Jyothy Laboratories Ltd. He has over 23 years of experience. He has been an Executive Director at Jyothy Laboratories Limited since 1997. 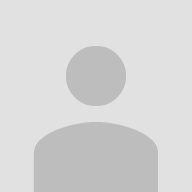 He has been a Director of Henkel India Ltd. since May 2011. Prior to joining Jyothy Laboratories in 1997, Mr Kamath was practicing as a chartered accountant. He is responsible for business development, new projects, sales, financial management and supervision of day-to-day operations. Besides these pivotal functions, he also spearheads Jyothy Laboratories' latest initiative in organised laundry services. He won "CA Business Achiever Award - SME Category" in January 2009 given by The Institute of Chartered Accountants of India. 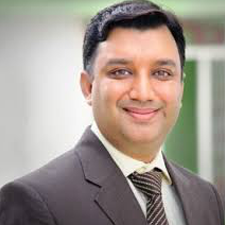 He is a qualified Chartered Accountant and Company Secretary with a degree in Law, he has also completed the Advanced Management Programme at Wharton Business School and Harvard Business School. 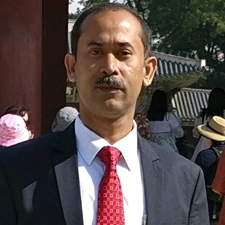 An engineering and management professional with close to 30 years of cross-functional experience, Sourav Daspatnaik is currently chief executive officer, Swach Environment Private Limited, a SREI Group initiative. 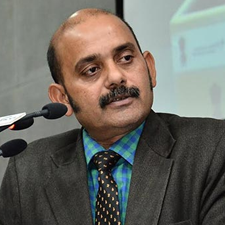 He also serves as an independent director in several companies and mentors social enterprises in the area of innovative and clean technologies for water supply, health, sanitation and hygiene under the Swachh Bharat Mission of the Ministry of Urban Development. Daspatnaik has been instrumental in nurturing several National Skill Development Corporation (NSDC) initiatives for Skill India under the Ministry of Skill Development and Entrepreneurship. 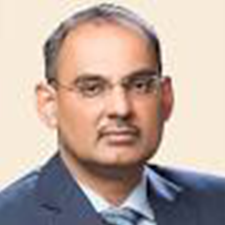 He started his professional career with Tata Motors and was thereafter associated with companies such as Tata Steel, Mittal Steel (formerly the Ispat Group), Mercer HR Consulting, and the Apeejay Surendra Group. The diverse positions he has held have enabled him to gain expertise across different functions, including engineering, marketing and sales, strategy, human resources, sustainability and public policy. He has a sound understanding of policy advocacy, as well as strong strategic and operational leadership skills. In the past, Daspatnaik has served as a national board member for the National HRD Network, an apex body for human resource professionals. He was a founder director of the Indian Iron and Steel Sector Skill Council under the NSDC. He has also served as chairperson of the Skill Development Task Force constituted by the Bengal Chamber of Commerce and Industry. Besides these professional forays in India, Daspatnaik has worked extensively in various Southeast Asian countries including Singapore, Myanmar and Thailand. He has played a vital role in the launch of the India-Myanmar Solar Energy Forum, which facilitates bilateral trade between the governments of the two countries. Daspatnaik has a bachelor’s in mechanical engineering from the Birla Institute of Technology, Ranchi. He also has a master’s in operations management from the Stevens Institute of Technology, New Jersey, USA. Sudhir has extensive professional experience of over 40 years. He completed his Electrical Engineeringdegree from MS University Baroda and started his career as at the Bhabha Atomic Research Centre. Hethen moved to industry and has held senior positions in leading organizations like DCM Data Systems,Uptron, Honeywell and Airtel. Subsequently he was Director Software Development Engineering atComverse. Currently he is supporting social sector organizations and startups. He is Passionate about three things at this stage. Supporting Social Enterprises, Supporting Startups and Technology. Looking to make a humble contribution by learning from and collaborating with people much smarter than me. 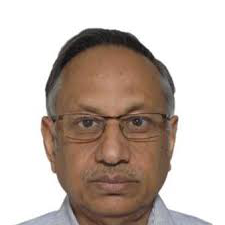 Damodar Dani Damodar Dani He has served as the Chief Executive Officer of M/s Dunlop India Limited and Modi Rubber Limited (Modi-Continental) - leading automotive tyre manufacturers of the country. 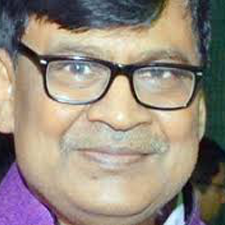 He has also headed various functional areas like marketing, after-sales service, commercial, manufacturing, HR and general management at different times, besides heading two startup companies in his career of 38 years. He is a director of Skills Gap Solutions Pvt Limited and an advisor to EON Reality, Inc., a US-based company and a world leader in using augmented and virtual reality for skills development and knowledge transfer. Experienced Business Development Advisor with a demonstrated history of working in the Automobile Tyre Industry. Skilled in Negotiation, Budgeting, Business Planning, Sales Management, and Team Building. Strong sales professional with a mba focused in marketing from Poddar Institute of Management Jaipur. Now associated with the Skill development, Innovation, Social enterprises and mentor for the startups. Ajay Muttreja, B.Tech.Mchanical Engineering(IIT,Kanpur),MBA(IIM Ahemadabad), Love for Technology, Innovations and Social Development Impact keeps me energetic and inspire me to give back to the world (especially young entrepreneurs -help them cross their valley of death besides accelerate scale up of business with profitability). His greatest strength lies in solving complex issues related to Cross Border business with combination of Technology and Strategy & Implementation solutions. Always been providing workable solutions to our clients and help them attain success in India. Strong experience in multiple sectors from the range of Agro to Mining, Technology to Health Care, Consumer Goods to Industrial products & services.30 years of experience in strategy consulting for international companies entering India, cross border acquisitions, executive search, and complex technology transfers. Serviced more than 1,000 multinational clients and have in depth know how of various product categories/segments and exposure to various cultures. Always been results-driven and well networked person who believes in learning from the mistakes we make in our journey. 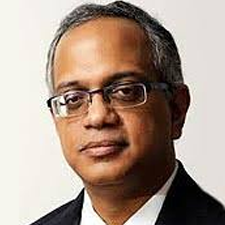 Sudesh Menon, has led both startups and large multinationals in India and globally. An experienced and distinguished professional with International experience, Sudesh is widely credited with pioneering the concept of sustainable community water systems in India. 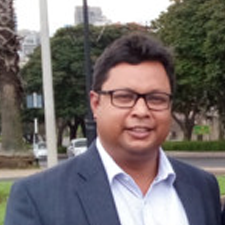 Sudesh co-founded Waterlife which has grown rapidly and occupies a unique and leadership position in the Water Space. Before coming back to India, Sudesh was country head for General Electric based in Kuala Lumpur. He is credited with some of the major strategic initiatives across Asia and bringing a solutions approach to some of the largest businesses. He was also instrumental in the startup team that brought GE Fanuc Automation into India and successfully grew the business. Mr. Menon is also associated with NITI Aayog for supporting the startups and have been actively mentoring a few of them. Sudesh is a B.Tech from IIT, Kharagpur and holds a degree in Management. Sathya is the founder of an AI startup (currently in stealth mode) that is building the next generation of multi-party AI systems. He is an active researcher collaborating with Prof. Ramesh Raskar (Head of Camera Culture Group, MIT Media Lab) and Dr. Santanu Bhattacharya (Chief Data Scientist at Bharti Airtel) focussed on high impact Emerging Markets research and a regular mentor at REDX Labs and Clubs globally.He was formerly at the Connectivity Lab at Facebook where he worked on several innovation efforts and advanced proximity and mesh network based protocols with 5 patents pending. Prior to Facebook, Sathya was a founding engineer at the REDX Lab in collaboration with Camera Culture Group and Emerging Worlds SIG (MIT Media Lab), MIT Tata Center for Technology and Design, Tata Trusts and Welingkar Institute of Management where he built numerous healthcare diagnostic and smart city solutions in Mumbai and Nashik. During the Kumbha Mela in 2015, he lead the execution of health and crowd steering solutions impacting over 30 million people in Nashik. 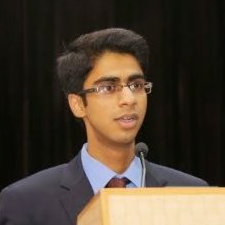 In the past, he has worked on a wide range of projects with leading organizations such as MIT Hacking Medicine, CAMTech (Massachusetts General Hospital), Healthcare Transformation Lab (MGH), VIT University, etc in India, the United States and Panama.Sathya is also an IEEE Computer Society Richard Merwin Scholar and a National Cyber Olympiad Gold Medalist. Experience as Senior Management Consultant in Asia, Europe and North America in the Financial Services industry. Structured and managed complex deals from inception to completion, transformed and reengineered organizations and influenced the work of individuals and groups in large-scale change initiatives. 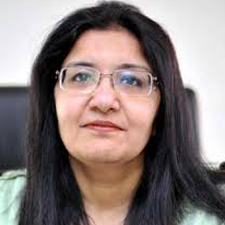 Seema co-founded FIA in 2012. Influenced by her childhood spent in some of the most inaccessible terrains in India, Seema felt compelled to work towards reducing the inequities she saw. 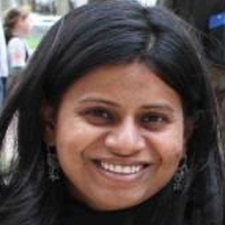 At FIA, Seema is responsible for innovation of socially impactful products and services to meet the needs of unserved communities and markets and leads FIA’s efforts to expand its global footprint. Before embarking on FIA, Seema had an exciting time in managing transformation programs in IT, Mobility and Operations. These apart, she has also championed the operations for technology start-up and piloted Business Development for IT and ITES companies. She is also responsible for advocacy, governance, and building strategic relationships with governments, financial institutions and other key partners to support and scale social innovations. 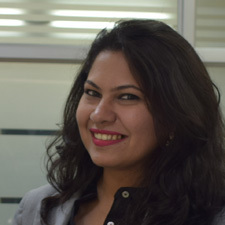 Seema holds an MBA from Xavier Labour Relations Institute (XLRI), Jamshedpur, India and a Bachelor’s degree in Electronics and Telecommunications from Kerala University. She is a Sloan Fellow, MIT, Sloan School of Management. Her research focus is on the impact of technology led social innovations on low income and underserved households. She is a traveler, foodie and animal lover. A management and legal professional and one of the few certified FX traders in India. He has spent over a decade as pivotal part of management teams for many leading brokerages in India. A strong leader himself has in depth and hands on knowledge about all available domains of broking, insurance and mutual funds and merchant banking. Has been instrumental in setting up funding business for one of the most prominent organizations in this field, so lending business is also not an unexplored terrain for him. He has always worked with lowest of attrition and is proud to flaunt the same core team since he started his career. A well respected personality for his professionalism and strong thoughts, Mr. Basu is definitely a man of many layers. During his time at leading brokerage firms in the city, he increased the firms’ foothold in key emerging market countries including; Singapore, Malaysia, India, and the wider South East Asia region, and finally in the United Kingdom as the first Indian Stock Broker to have an European presence and FCA product catering. He was also one of the Top 50 Fund Managers , second Asian and only Indian on the London Metal Exchange Trading Volume Bourse in 2008. In his current role, he heads up MC Securities Ltd, in all avenues, leading a team of finance professionals working towards NRI and Retirement based products primarily. He also leads the group Businesses, MC Commodities, MC Advisors and MC Insurance broking. Mr. Basu is a family man and dedicates his free-time to travel vividly and support young entrepreneurs through various VC activities; debt or equity raising, advisory on structuring etc. On a personal capacity, he is on the advisory board of 3 BSE listed companies and 4 unlisted but publicly held companies, with equity exposure in all of them. Currently he is also the principal shareholder and dominant promoter for Silkoak Group, which has been recently acquired in 2015 December and started registered operation in London, United Kingdom, currently poised to provide an ethical business support in various handcrafted items, along with trading and export of the same and developing prospective businesses and entrepreneurs in the process.